There's a new newspaper and there's a lot to talk about. We just finished the last party (the Future Party) and now we're in the month of June ready to slide into another party. This month it's all about soccer! 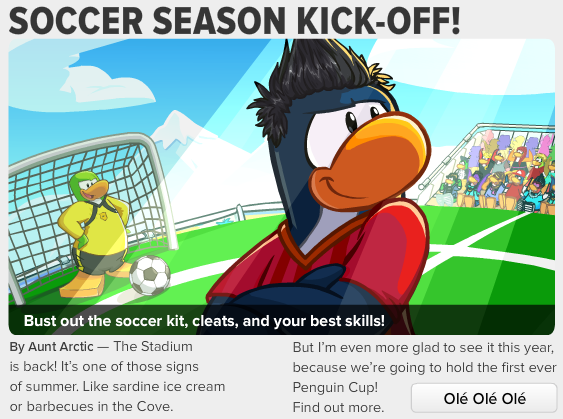 That's right; the party this month is the Penguin Cup! Are you ready to put away your cozy winter coats and bust out your soccer moves? I don't know about you guys but I'm ready to enjoy this party. Enough of the Penguin Cup party. 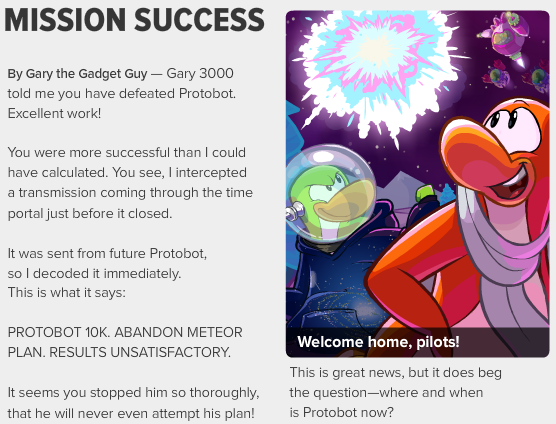 Let's talk about the Future Party and where Protobot is now! Take that warm coat off penguins because the sign is shining! Check out the latest Penguin Style for June at the clothes shop NOW. 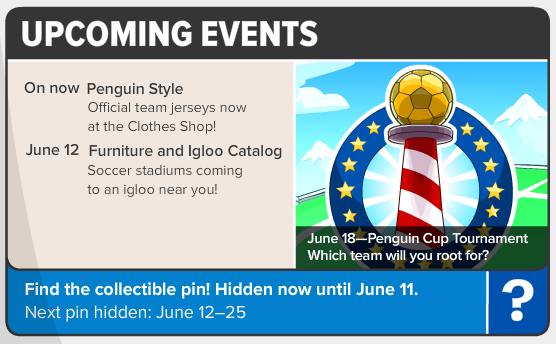 The Furniture and Igloo catalog will be coming in a few days.